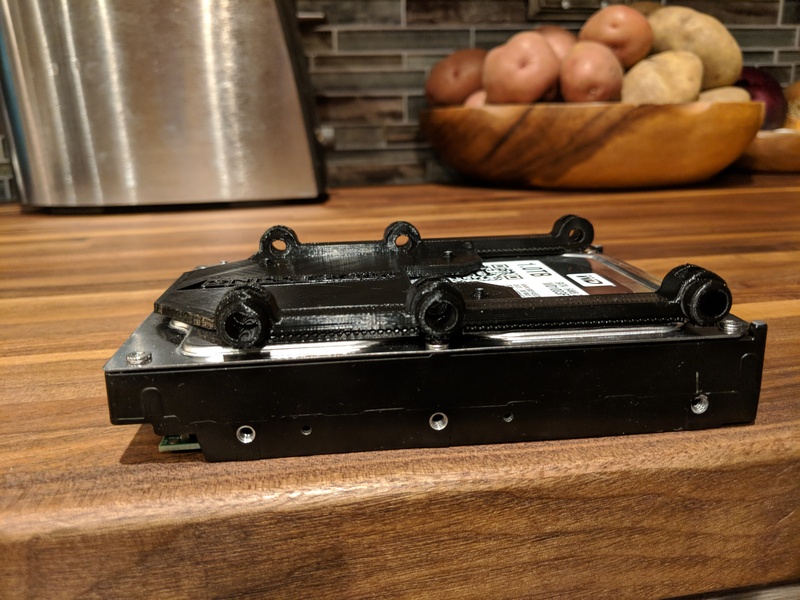 This Raspberry Pi case is designed to fit into a standard 3.5in hard drive slot. 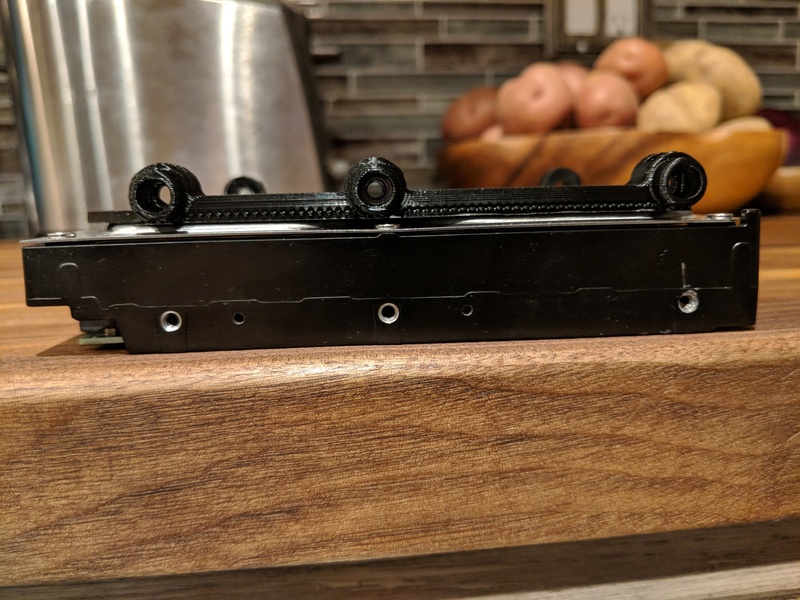 It works well with tool-less mounting systems, but I also added the ability for threaded nuts to be dropped in which work great as well and make this compatible with anything that a standard hard drive fit into. The nuts that I built around are the McMaster-Carr 90480a007 This cost me $8.32 for 100 nuts delivered to my door but I am sure a local hardware store would have the same thing far cheaper. I Believe these nuts from Amazon will work as well. 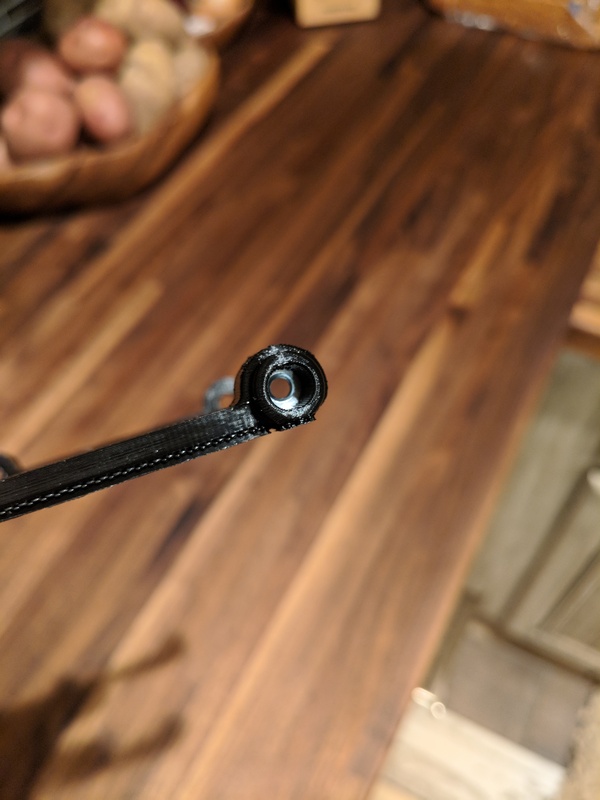 I have printed this part a few times and you can get away with doing no supports you just end up with some long bridges. 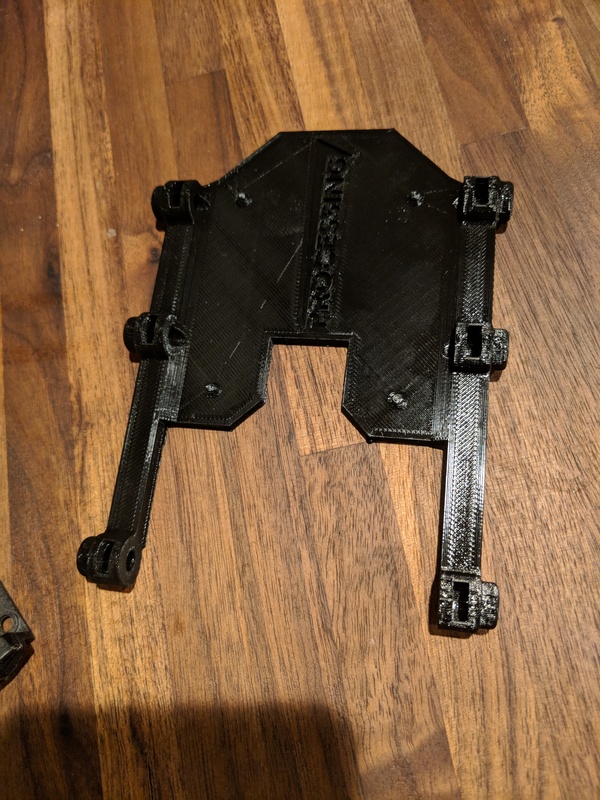 I would advise against supports inside where the nuts go because it is nearly impossible to get those supports out correctly. 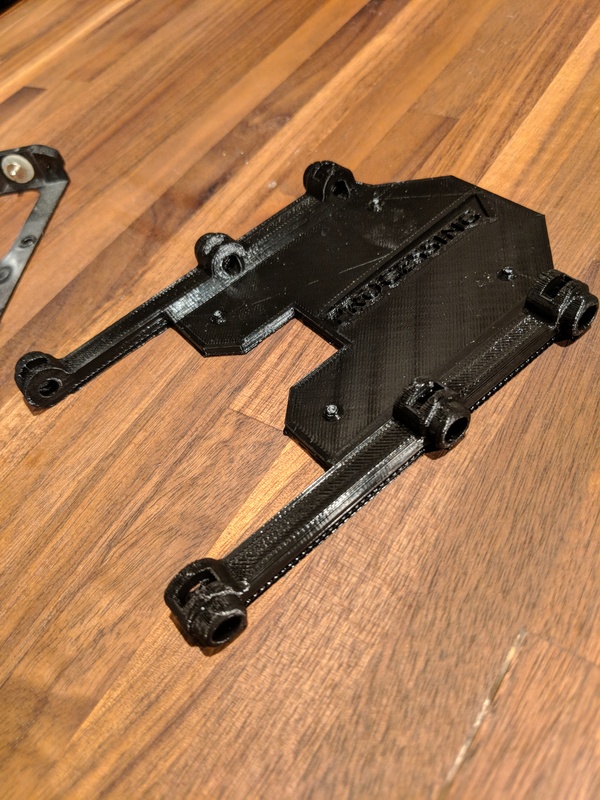 This was my first project using Fusion 360, and my first project built from the ground up for 3D printing. I started by building a profile sketch or “master sketch” of an HDD with the placement of the screw holes. 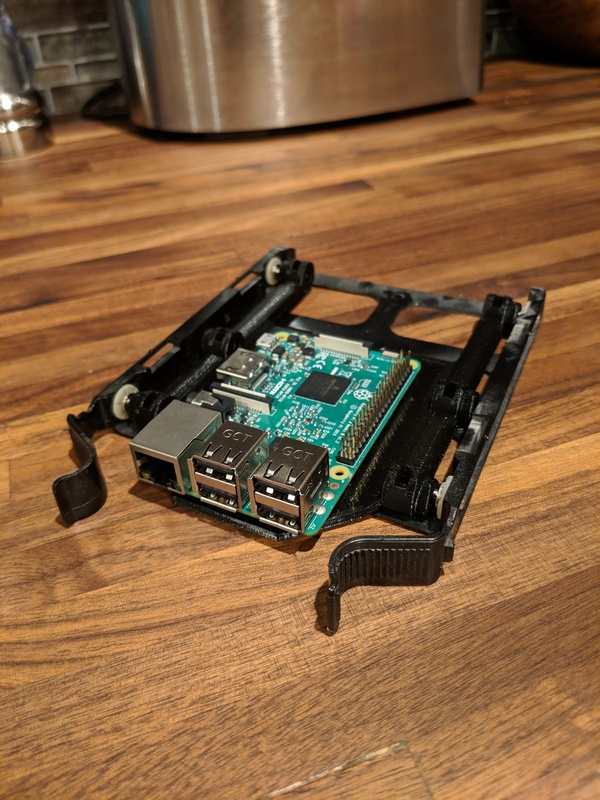 Then I decided to make a rough Raspberry Pi model since I plan on many 3D printed projects for the Pi it would be easier to have a digital copy. 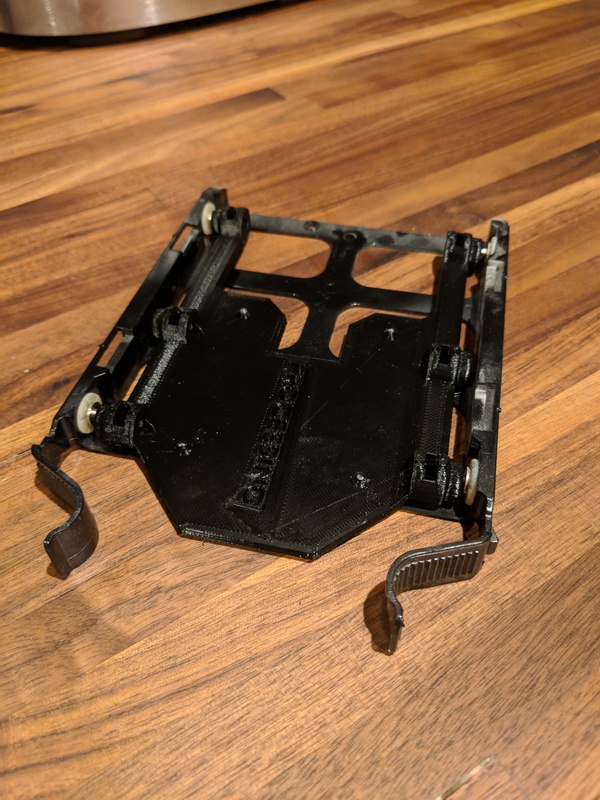 To make this model I used my Rough Raspberry Pi Model that you can find here, you can also see it in the picture below. 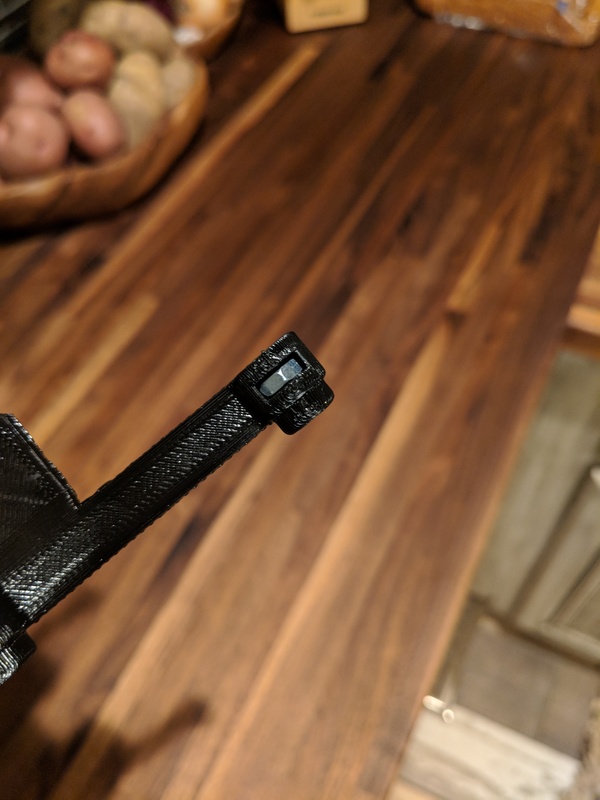 Version 2 will be worked on soon since now I have experience with 3D printing and I know that things like the long supports that require long bridges are a big no-no. 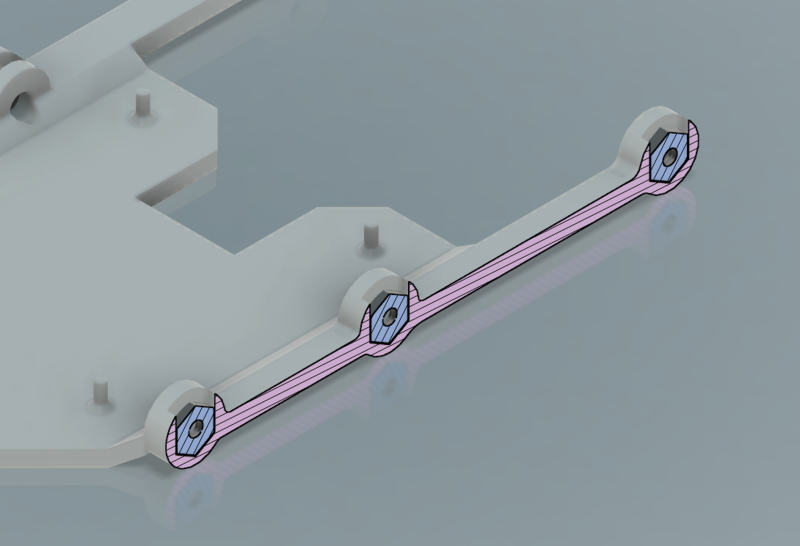 I'll also probably change the positioning of the Pi to be more in the middle. Any other feedback would be greatly appreciated.